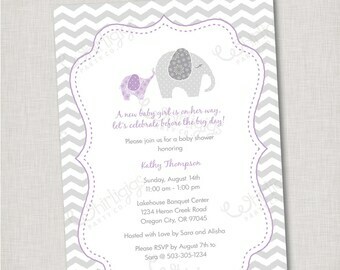 Announcement Party Invitations and Editable Banner Templates, Editable Sticker Templates • Instant Download Party Decorations • Event designs for Anniversary • Birthday • Baby Shower • Holiday • DIY Party Crafts • Embellished Paper Straws • and Handmade Party Favors! Please allow at least 24 hours for correspondence, and 48 hours on the weekends. 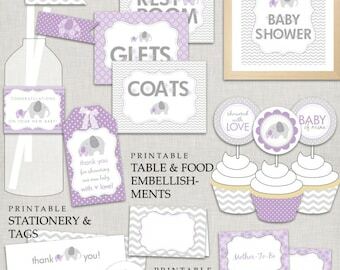 Party Invitations and Editable Banner Templates, Editable Sticker Templates • Instant Download Party Decorations • Event designs for Anniversary • Birthday • Baby Shower • Holiday • DIY Party Crafts • Embellished Paper Straws • and Handmade Party Favors! She was amazing to work with and helped our organization so much with her creativity! 12 Train Party Straws - Railroad Crossing Straws OR Birthday Crossing Straws - Train Party Drink Paper Straws - Your choice of colors! 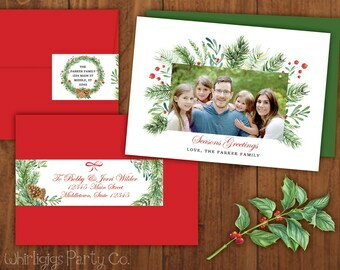 I am thrilled to be offering Photo Holiday Cards that showcase your beautiful family! 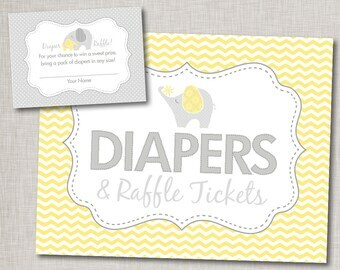 Each quality card is custom, double-sided, includes an envelope and a wrap-around address label. Life is full of reasons to celebrate! My shop's story truly began when I became a mom. I had almost 10 years of professional graphic design experience and was on maternity leave when I started drawing and designing for online sales. Life with a newborn required flexibility and ignited creativity that needed a serious outlet! And I soon found my own artistic style drawing cutesy, whimsical characters that appealed to children. This gave way to selling fabric, clip art and eventually party suites online. The shop builds with every life event and creative inspiration that comes along in my life. Most of the parties designed are from my own life's celebrations, or those of my family members. There never seems to be an end of things to celebrate, and that's a very awesome thing!! I've learned so very much and am so grateful to the mentors, family and Etsy community that has supported and encouraged me endlessly. It always warms my heart when an order comes and I read WHO IS having a birthday and HOW OLD they will be!! Each milestone, each birth, each graduation... It's all been a great time and I look forward to many more years … and parties, to come! Please contact me if you are not completely satisfied with your order and I will do what I can to make it right. INSTANT DOWNLOAD PURCHASES ARE NOT REFUNDABLE DUE TO THE DIGITAL NATURE OF THE PRODUCT. Customized items are not 100% refundable if work has already commenced. Various monitor settings, printer settings, paper selection and lighting will effect how something appears printed, versus on screen. So unfortunately there is no guarantee the color you see on your computer monitor is how it will appear on paper. If color is important to you, please contact me about receiving color proofs you can test print on the printer and paper you will be using. Orders with a required proof will not be printed until the proof has been approved. For proofed orders, production turnaround time begins after the proof approval. I often begin production right away, so it is appreciated that you contact me as soon as you have a change or cancellation. Purchases may not be 100% refundable if work has already commenced. Party product and CUSTOMIZED files are mostly made to order. Production does not start (including proofs, if applicable) until payment has been received. Many items in my shop are DIGITAL PRODUCT and nothing is shipped in the mail. See each individual item for shipping details, and let me know if you still have shipping or delivery / file delivery questions. - If you place an order for PRINTED INVITATIONS listed with "Free US Shipping" from an international location, I will send you a separate shipping bill for the international shipping costs based on the delivery address you submitted with your order. - Your must pay your shipping bill BEFORE I start production of your order. Or, if you prefer, I will help you to adjust the order to receive digital product instead of shipped product. I cannot refund 100% a cancelled international order for printed invitations. There is usually a 5% surcharge for listing and transaction fees. - Shipped orders that incur additional International shipping fees upon delivery, are the buyers responsibility. These digital files are the creation of Whirligigs Party Co. LLC. All images, graphics, files and content are copyright ©2016 by Whirligigs Party Co. LLC, unless otherwise stated. When you purchased or downloaded this product you acquired a single, limited license, allowing you to use the product in accordance with the Terms and Conditions detailed here. This license is non transferable, it is for your sole use only. WHIRLIGIGS PARTY CO. LLC PRINTABLE FILES ARE FOR PERSONAL USE ONLY! Use my digital files for any personal event -a party you make for yourself or a friend. So long as you are not accepting payment for your hosting services, event planning or product, and you are not sharing the files, your usage is considered PERSONAL USE. - Alter and resell Whirligigs Party Co. LLC printable files or any part of the printable files by changing colors, height or width, etc. At all times the content of these digital files remain the sole property of the original creator (Whirligigs Party Co. LLC) and all copyrights and trademarks remain intact. Your purchased file does NOT become your property - it remains the property of the original creator (Whirligigs Party Co. LLC) and is protected by International copyright laws. Thanks in advance for respecting my art with these Terms & Conditions. Life holds much to celebrate! Enjoy the party! Your printable PDFs are designed for color printing on 8-½” x 11” paper. Your JPG files are set up for printing on pre-cut 4”x6” or 5”x7” paper. If printing at home, I recommend a white card stock (60 lb.) for printing most of your party decorations. For best results, select paper designed for your printer type - inkjet or laser. That’s really important, because most desktop printers designed for home printing, will jam or wear out faster if a thick card stock is used, so check your printer handbook to determine what thickness (often referred to as gsm) of paper your printer can take. When printing at a professional printer, I recommend printing party decorations on an 60 lb.-80 lb. 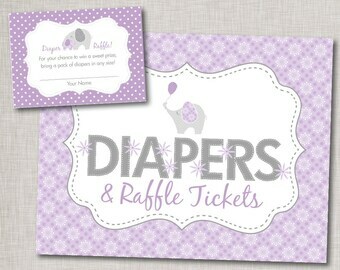 card stock and invitations on a 100-110 lb. card stock. How do I access the download I purchased? Login to your Etsy account and go to "Purchases & Reviews" under Your Account options. Locate your purchase from Whirligigs Party Co., and select the blue button "Download Files". That will take you to the download screen, and there is another button on the left to "Download" the files. Files downloaded from the internet often default to your “downloads” folder. On a PC or Windows computer, you can find your Downloads folder by going to the Start Menu ---> My Computer. You will see the Downloads folder on the far-left pane. You can also use the search box on the Start menu to find file stored on your computer. To find an item using the Start menu: Click the Start button , and then type the file name in the search box. Search results appear as soon as you start typing in the search box. On your Mac computer, you can find your Downloads folder by first double-clicking on your "finder" icon, in your dock. This will open up a "finder window". Within your finder window, you'll usually find "Downloads" on the left side. How do I open my files? How do I open a ZIP folder? On a PC computer, locate the compressed folder that you want to extract files or folders from. Then, double-click the compressed folder to open it. Or right click with your mouse to get an alternate menu of actions, and select “extract files”. On a Mac computer, Right-click on the .zip package, and select Open With > Archive Utility. Can I purchase printable files from a group individually? Yes. 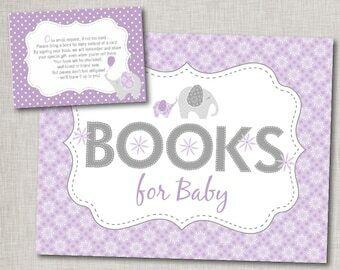 If you'd like to order an item from a printable party collection or grouping individually, please contact me. Most individual printable party files are $4 each - without customization. And $8 each - with customization. Can I customize the wording myself? No, the file you will receive is un-editable. Files are also copyrighted by Whirligigs Party Co. and cannot be changed or altered once received under copyright law. I'm happy to customize wording on any item FOR YOU. Wording customization may be included in the price of the item, so be sure to read the item description to find out if an item is customized. Or visit the "Add-0n Upgrades" Section to "Customize An Item" as an additional purchase. How do I submit my custom wording? When you go to check out there is a box that says "note to seller" where you can type in your wording. You can also let me know your customization via Etsy conversation or you can email it to me at whirligigspartyco@gmail.com. For Digital Files: No. I want you to be able to print as soon as you get your files, so I do not send a proof. Instead, you will receive high resolution files ready for printing. If you need any changes, however, I'm happy to make them at no additional cost. For Custom Printing: Yes. I send a digital proof, unless the listing states no proof will be sent. Proof approval is required before continued production. Digital proofs are delivered within 36 hours of all information and payment received to your Etsy conversation inbox, unless you specify an email address you’d like me to send the proof to. Due to the digital nature of my business, I do not offer a proof without an order in place.